Is it my eyes or are the tips totally ground down? 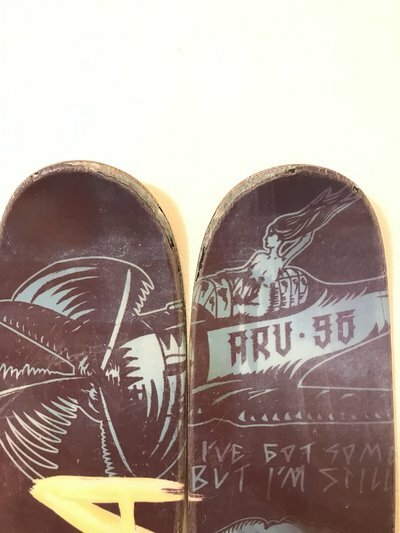 And this price with bindings? IsitWinterYet17 Is it my eyes or are the tips totally ground down? And this price with bindings? Ya. They’re pretty warn down but no delam or lifting. Price does include bindings. hlaloud Ya. They’re pretty warn down but no delam or lifting. Price does include bindings. Curious how they got so fucked if you didn't ride park? Or did I assume wrong and these were just used for jumps? How's the bases and edges? Core shots? Cracked edges? Any delamination? Base burn? What year are the pivots? I’m the second owner, not sure how assuming iust crossing tips? No cracked edges, no core shots, no de lam. 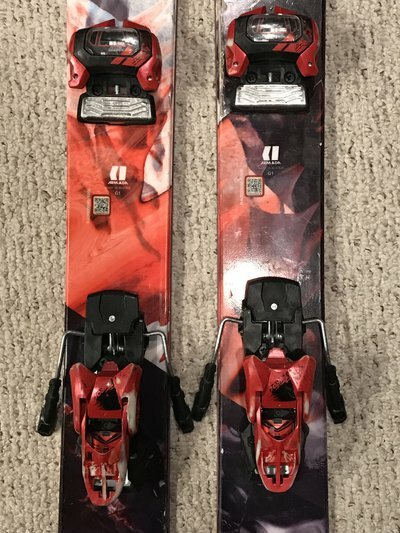 I’d be skiing these if they fit my boots but figured I’d sell them rather than put the 3rd mount on them. IsitWinterYet17 Curious how they got so fucked if you didn't ride park? Or did I assume wrong and these were just used for jumps? How's the bases and edges? Core shots? Cracked edges? Any delamination? Base burn? might have missed it, but are the arv’s mounted center? rwillcox11 might have missed it, but are the arv’s mounted center? Interested in the atómics with guardians. Where are they mounted? Do you have skins with them? The atomic's still for sale?